Renee Dress in Flowers Light print. 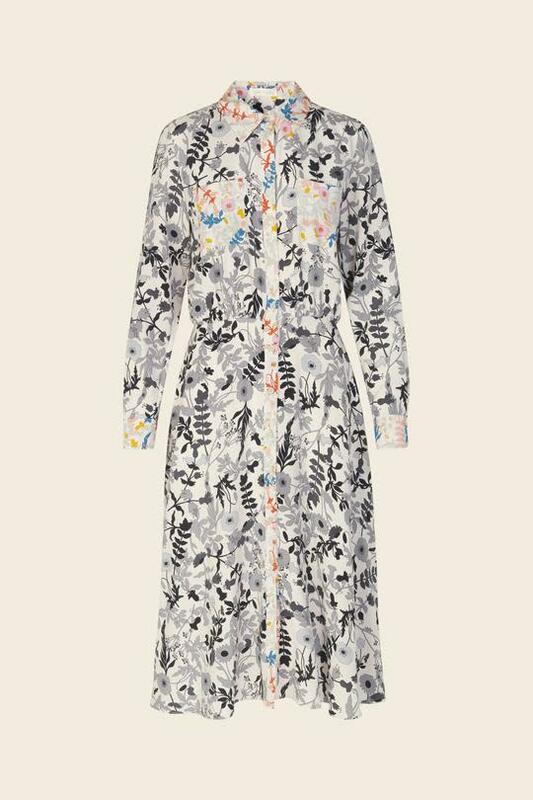 Cut below the knee, this long sleeved dress is crafted from a soft silk & viscose blend and feature a relaxed fit with a button down front, an elasticated waist and an airy skirt. Our customers have found this dress over sized in the top and more fitted on the waist.